Adherence to the barbell movement form model is a consistent theme throughout Starting Strength. The classic “Your Not Doing The Program” (YNDTP) applies not only to programming but to form too. 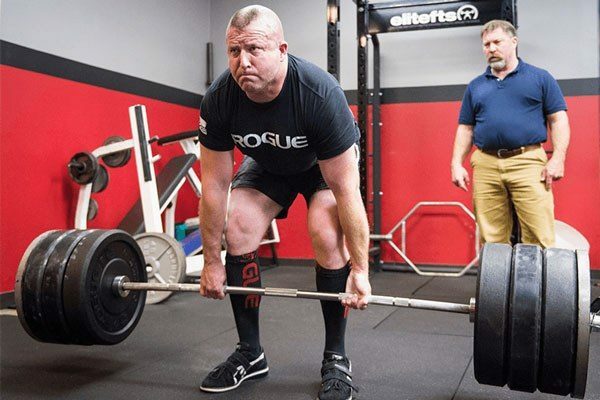 This means that whenever and wherever possible, the lifter is coached and expected to “adapt the movement to the model.” This is not done for any reason other than it works: it uses the greatest effective range of motion, recruits the most muscle mass, and gets lifters stronger, faster. 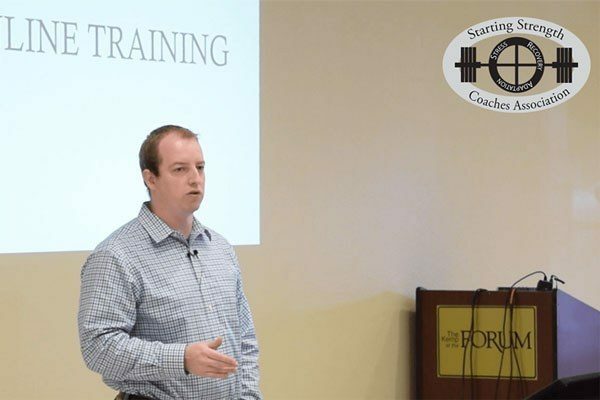 For the squat, press, deadlift, bench press and power clean, there are specific form points of performance as described and illustrated in the book Starting Strength: Basic Barbell Training 3rd edition. In some cases the lifter has to modify the execution of the lift to accommodate the “major” points of the performance of the model, lest the Perfect be the enemy of the Good. 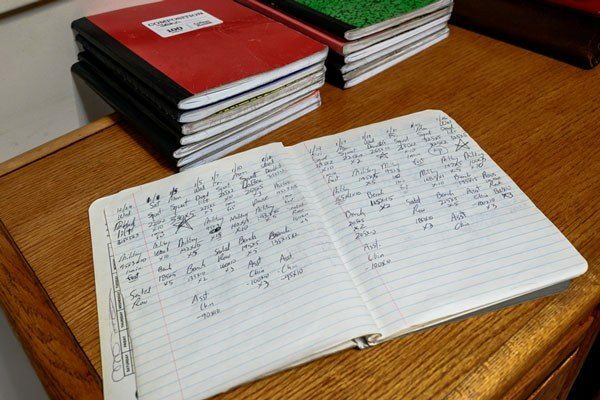 It is only after careful thought, diligence in coaching the standard version, and a determination that a modification is actually necessary that a modification should be allowed. 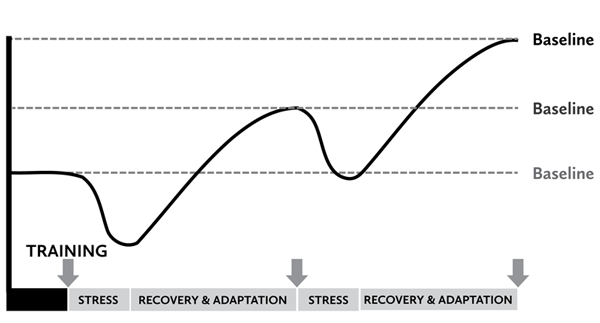 The majority of the time, the lifter can adapt to the standard approach to the model. 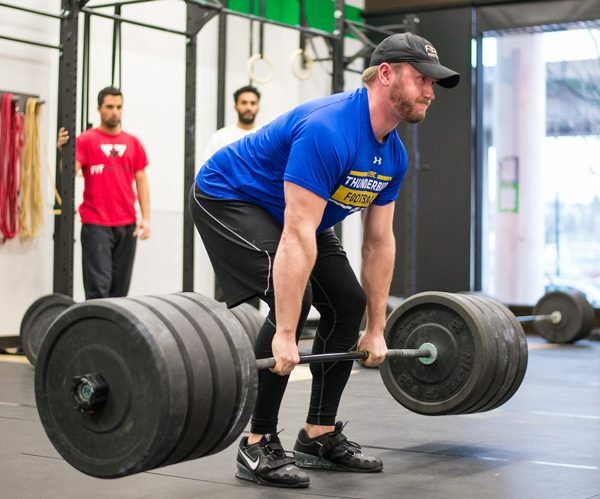 Lifters and coaches alike must recognize that the less the lift is modified from the standard form – the approach to the model that works for the vast majority of people most of the time – the more likely the lifter is to be successful. 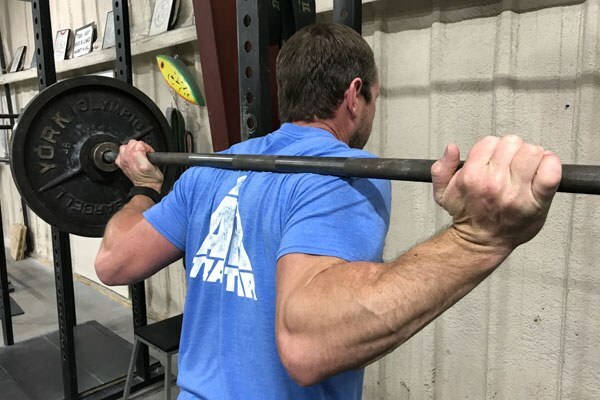 The correct grip for the squat positions the hand as close to the shoulder as possible, thumb over the bar, wrist in slight extension – a neutral wrist position – all four fingers in contact with the bar, and the bar jammed into the base of the palm. 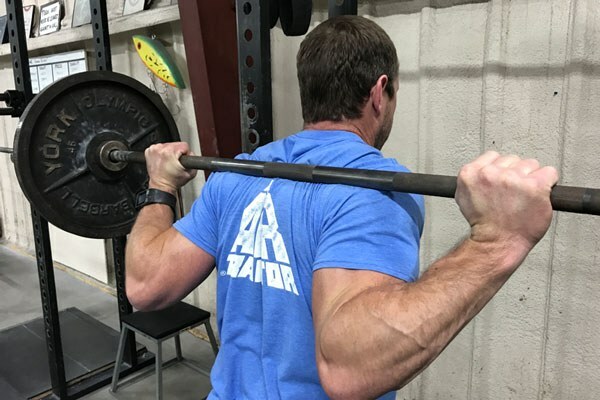 This grip allows the forearm to carry a portion of the load and control the bar. The majority of the load is carried on the shelf created below the spine of the scapulae, on the posterior deltoids of the shoulders, and the forearms, while keeping the load off of an overextended wrist. The thumbs-over-the-bar grip prevents lots of problems, if it is done correctly. 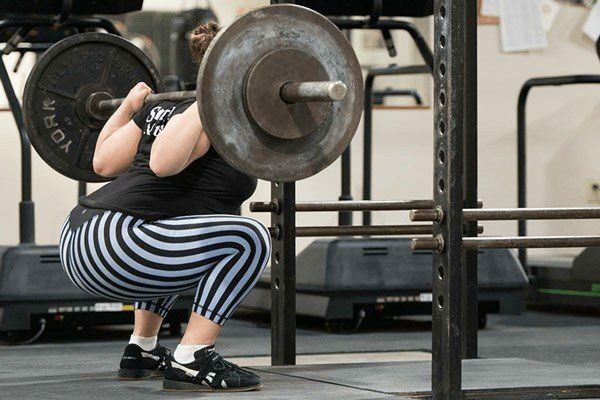 As it turns out, two different and very common errors in the squat involve the wrists: both overextension and flexion of the wrist cause other more important problems. Overextension of the wrist is associated with shoulder overextension, causing the elbows to be too high. In contrast, when the wrist is flexed, the hand will usually be too high on the bar and the heel of the palm will not be in good contact with the bar. The cause of poor wrist position is usually a lack of correct instruction and practice, a prominent thoracic kyphosis, or poor shoulder mobility that limits humeral external rotation causing overextension. All of these can cause poor wrist position, the bar to sit higher than needed above the spine of the scapulae, thoracic flexion, and poor control of the bar, rolling it forward/up in the bottom of the squat. And once a lifter gets in the habit of carrying the bar incorrectly, it becomes hard to tell it's happening, and as a result hard to correct. What starts out as a small coaching problem can easily creep into a major structural issue for the whole kinetic chain. To correct the problem quickly, we may allow the lifter to wrap their thumbs around the bar. Wrapping the thumbs around the bar lowers the hand, forearm, and elbow, reducing the amount of shoulder external rotation required. Lowering the elbows brings them into better alignment with the trunk, reduces or eliminates shoulder overextension, and places the forearms in compression under the load. The grip can then be narrowed, the wrist straightened, and the upper back held tighter to carry the load of the bar. This also allows for the bar to be placed lower on the back for better access to the posterior chain and hip drive. We may also use the thumb-around-the-bar grip modification for lifters who have poor thumb mobility, osteoarthritis of the thumb, bicep tendinitis or medial elbow valgus syndrome. If a lifter complains of a painful thumb, the thumb-around-the-bar grip usually eliminates this problem. 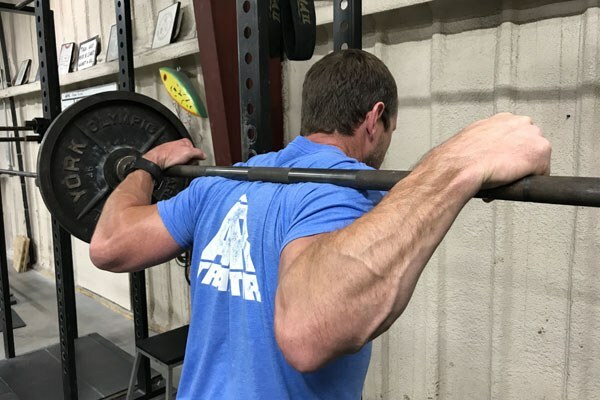 Bicep tendinitis is most likely due to the recruitment of shoulder overextension, lack of proper bar placement control, or over-gripping the bar. Allowing the thumb to be wrapped around the bar can correct this by lowering the hand, dropping the elbow down and decreasing the extension angle of the shoulder. This creates more bar stability over the mid-foot. If a lifter has pain in the medial elbow structures – Golfer's elbow – this may due to placing the elbow under too much load from high elbows. 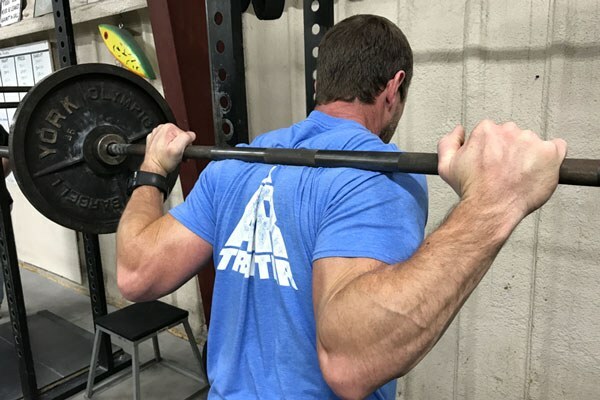 If the lifter cannot take a correct thumbs-over grip, wrapping the thumb around the bar can improve the control and stability of the bar and reduce the valgus stress by improving elbow position. This also reduces the tendency of the lifter to pull downward on the bar through the hand instead of allowing the bar to be supported in compression on the heel of the palm. Experience is a great teacher, if the experience is acquired while trying to do things correctly – lots of people have lots of experience doing things wrong, and mistake this for expertise. Lifters and their coaches should always work hard to adhere to the correct squat form model before making any modifications. But if all else fails, try the thumbs-around-the-bar grip and work towards resolving the underlying causes. Then, revisit the thumbs-over-the-bar grip and you may find that over time you’re able to do it correctly.